Make satisfying your appetite for food and wine easier with some of these iPhone apps developed especially with gourmands in mind. Your taste buds will thank you. These five iPhone and iPad apps are essential for every foodie. These days, it seems like most of us are emailing or texting way more than making phone calls. Picking up the phone to make a reservation seems like such an ordeal, which is why we adore the OpenTable app. This centralized-reservation app makes it a snap to find out if a table for your big group is available. 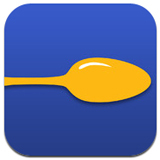 Plus, this free iPhone app includes info on the restaurant and a GPS locator. Bewildered by tannins and noses and such? For a good, basic understanding of wine and what one will taste like —or, if you’re in the liquor store and need some guidance on what you should pick up for the dinner party you’re attending — the wine.com app is the way to go. It’s easy to navigate and approachable for those of us who appreciate wine but are not budding sommeliers. 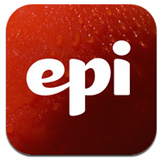 For foodies looking for a great recipe to whip up at home, look no further than the Epicurious app. With everything from week-night dinner ideas to more elaborate meals that are dinner-party appropriate, this app, which boasts more than 30,000 recipes, also comes with a built-in shopping list function. Have recipes you love and want to share? The app allows you to do so through social media. We all have those days when we can’t figure out what we want to eat, or where. The UrbanSpoon app can help — you simply choose your location, type of food and price range and then it finds a restaurant that matches these criteria. You can reshuffle and search again if you’re not happy with the suggestion the food app makes. If you’re particularly befuddled by what you’re in the mood for, the app also features an “Around Me” button that will show you restaurants in the area. If you’re at the LCBO or SAQ (or many other Canadian liquor stores), use Wine Picks and Pairings to scan a bottle’s bar code. The app will give you tasting notes, scores, recipes and food pairings for some 150,000 bottles of wine. 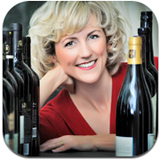 Created by award-winning wine writer Natalie MacLean, the app also features a glossary and a journal for your cellar, so you can log your wine collection.